MOSCOW (AP) — Anatoly Kucherena, a lawyer for former NSA systems analyst Edward Snowden, says his client has found a technical support job at a Russian website. 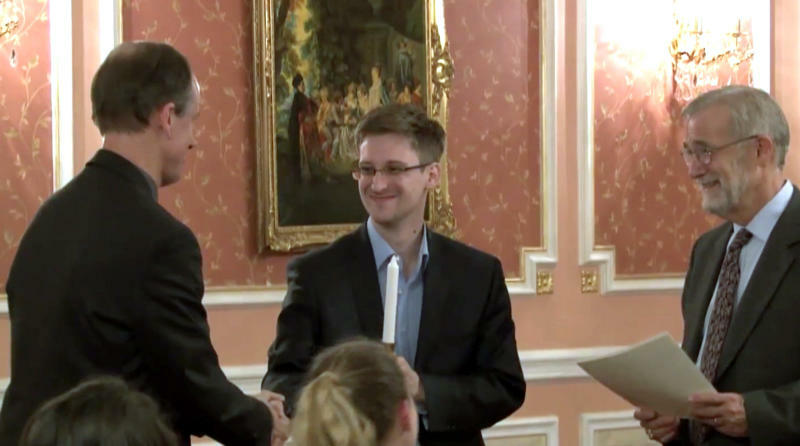 Kucherena told the RIA Novosti news agency Thursday that Snowden starts his new job on Friday. Kucherena declined to name the company that has hired Snowden but says it's a major Russian website. Snowden was granted asylum in Russia in August after being stuck at a Moscow airport for more than a month after flying there from Hong Kong. His whereabouts in Russia remain secret. The 30-year-old faces espionage charges in the U.S for uncovering a mass surveillance scheme at the National Security Agency. Kucherena was unavailable for comment when contacted by the AP.